Combing function and style, this sturdy wine bottle opener feels substantial in the hand and looks elegant on the table. 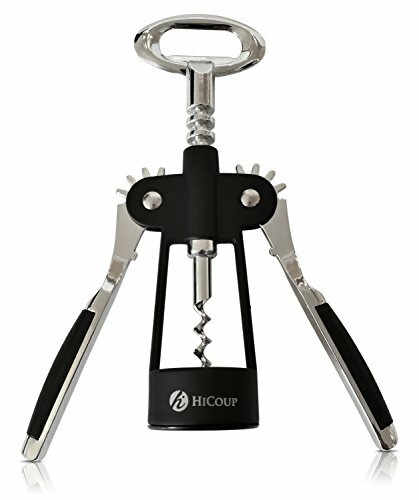 Wine connoisseurs find it foolproof and efficient, simply place the wine corkscrew opener over the bottle, twist the handle to insert the auger into the cork, and watch the opener's wings rise. Then press the wings down to extract the cork. A coated wire screw glides smoothly through the cork, and a stopper prevents the screw from breaking the cork. Ergonomically designed handle makes this bottle opener and corkscrew comfortable to grasp and effortless to turn, even when you need to use a little more effort than usual to open a stubborn cork. The sturdy 3 inch long broad wings require minimal force for pressing down to free the cork from the bottle, allowing you to easily remove any size cork quickly and efficiently. No need to manually wrestle the cork out of the bottle with our butterfly corkscrew's polished helix worm that is long enough to easily and fully insert into any length cork, making it easily to extract even the longest corks. 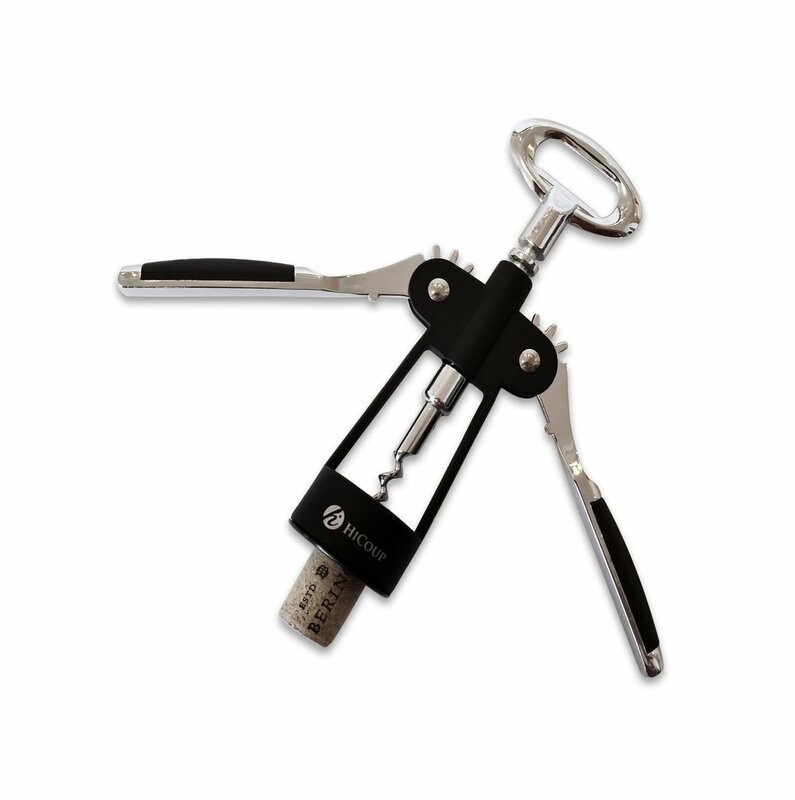 Multifunction and convenient, our corkscrew wine opener pulls double duty as both a beer and wine opener. Using only the finest quality materials, our wing corkscrews are rust-proof, resistant to staining, require little to no maintenance and are also dishwasher safe for convenient cleaning after use. Outstanding customer service and always there to assist you with any problems or concerns. Simply contact us and we will be happy to address any of your concerns. We also stand behind our products with a complete, LIFETIME GUARANTEE. If something breaks or if you don't absolutely love your new winged corkscrew, we will take it back and offer a replacement or refund, no questions asked. That is part of our 100% LIFETIME CUSTOMER SATISFACTION GUARANTEE!! !